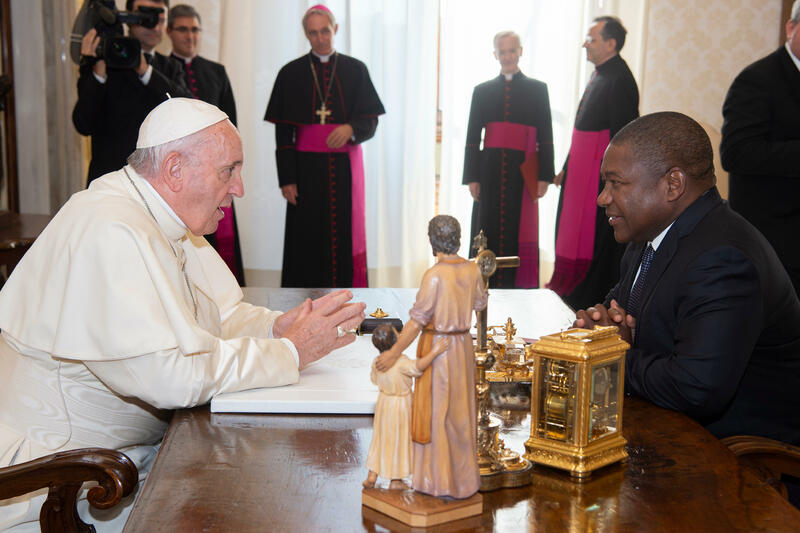 Pope Francis on September 14, 2018, received the President of the Republic of Mozambique, Felipe Jacinto Nyusi, who subsequently met with Cardinal Secretary of State Pietro Parolin, accompanied by ArchbishopPaul Richard Gallagher, Secretary for Relations with States. During the cordial discussions, according to the Vatican, the good relations between the Holy See and Mozambique and the valued contribution of the Catholic Church in several sectors of society were underlined, with reference to the Bilateral Agreement signed in 2011 to facilitate the activity of the Church in the country. The socio-political situation of the nation was then discussed, as well as the process of national reconciliation currently underway, with the hope that a stable and lasting peace may be reached. The conversation continued with an exchange of opinions on the fight against poverty and corruption, as well as economic collaboration between Mozambique and other countries.